I bought a tonne of roads and rivers from an eBay seller called Fat Frank. They are great but I didn't realise they would come already painted and flocked with static grass. This week during my Tier 3 time I was able to begin deflocking the edges, repainting them in my standard table colour and then added my flock to match my Cigar Box mat. I also paint and flock further in from the edge to reduce the width of the actual path. On the right is the standard road section and on the left if my reflocked version. One of the Tier 3 project ideas I have is 15mm AWI. I think Empire V will be took much for this period and the quick game goals I have so I purchased Black Powder for this project. The Paint and Chat groups I have been linking to lately suggested I get the AWI update for BP called Rebellion and I am glad I did. It contains so much information about armies and uniforms and the battles. Its a great resource. I know Peter Pig and Blue Moon make the best 15mm AWI figures but at this stage I am moving to my other Tier 3 project of 15mm Crusades next as the figures are a good break from painting Napoleonics. Orders for AWI will be placed in a couple of months. A few years ago I bought some ADF troops in 20mm from Wartime. I got to work on them researching the paints I needed to depict troops in Afghanistan and painted a few dozen. Then they sat. And sat. For a long time. This month 2 things happened. 2. Joining 2 online paint and chat sessions. These have been fantastic with not only the chance to chat to some great people about gaming and painting but also as a focused to paint. * Tabletop Commander Forums chat which is every day at 4pm EST which is 0600hrs here in Brisbane. It runs for 3 or so hours and I have been able to get on for 30 to 60 minutes. It runs through Google Hangouts but every day the episode is posted on YouTube at Tabletop Commanders Youtube channel. * Rocky's War Room chat is every Mon, Wed and Fri at around 9:30pm EST which is around 12:30pm here in Brisbane. It runs for a few hours and also runs via Google Hangouts and every episode is posted on YouTube at Rocky's War Room Youtube channel. As a result of these 2 things, I dug out my partly painted ADF troops and arranged a standard infantry section of 8 figures and finished off all the painting. All that remains is basing to be done. This week I need to put them away again until next month and now move back on to my 15mm Napoleonics. So here's a pic of the command figures all sorted and glued to tops for painting. They will fit in to fill the gaps in this Division made up of 2nd hand figures rebased. A promised here are the final shots of a prototype woods piece for my new 15mm scale tabletop. The base is mounting card with paint and flock to match my tabletop mat from Cigar Box but the edges have items such as clump foilage and rocks added. The middle is then 2 separately modeled woods with the same materials. The idea is that together there is a dense and seemless woods but the centres can be removed should troops need to pass through them. 2017 sees in a new opportunity for a campaign at the weekly Thursday night group I game with. We needed a good Campaign system that modeled not only movement but the affects of that movement and supply but it had to be quick and easy as it was purely for generating battles for the tabletop. I found a new series of games from Europa Simulazioni which seemed to fit the bill. 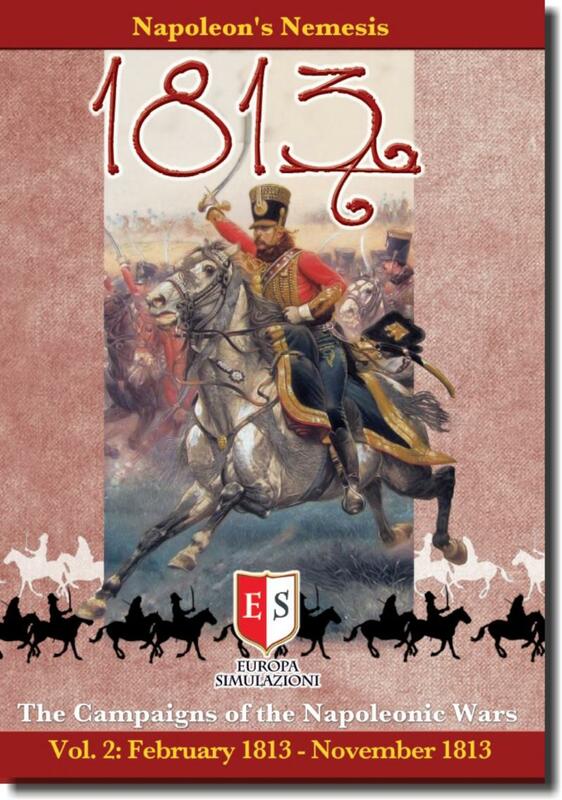 They had just released their 1813 game so I purchased it and found someone online wanting to offload the 1812 game for Russia as it was out of print. A quick read of the rules and a check of the maps and it looked like it would work for us. Tokens are basically a division in strength with separate tokens for artillery parks. The movement rules are based on lines of supply and supply train tokens available to each player each turn. We dropped the unit tokens in favor of our own army flags but kept the 6 points of stacking rule and everything else except the actual combat calculation. There is a calculation to find if an attacking stack actually succeeds in attacking a defending stack. But then a combat calculation occurs which we removed in favor of using the tabletop to make the decision. So far its working well. Last night we did 2 moves according to the rules as a play test. All players were happy with it but we did make a couple of small tweaks to match our orders of battle and requirements. Next week we begin a one of battle as a siege opportunity was risen and all present would like to see how it plays out on the tabletop. Then we will reset the map and begin. The group has 2 players keen on the strategic campaign with up to another 4 just happy to fight battles on the night. 2016 was a good year in some respects. I still have only a limited number of projects I wish to focus my hobby time on. These will be mentioned and updated upon later here later. With a new home that has a large rumpus room and the chance to reorganize that space a little better I was feeling quite accomplished. The biggest goal this year was the decision to move my main project of Empire Napoleonics from 6mm to 15mm. Being a part of an active 28mm gaming group each week slowly influenced my appreciation of more realistic uniforms and better painting. That coincided with aging eyesight. Over the past couple of years my 6mm Napoleonics project has been plagued with repeated attempts to decide upon a figure ratio. Empire uses a 1:60 ratio which a 720 man battalion represented by 12 figures on the table. 6mm is commonly selected for price and/or mass benefits and so I continuously struggled with whether or not to double the width or double the depth or even both. Some experiments can be seen in posts on this sight with 48 figures in a battalion! As you may guess the move to 15mm for this project meant I now had 20,000 6mm Adler to sell and no 15mm figures. I was starting again! A friend of mine gave me some left over ABs and Old Glory figures which I painted up. I was happy with the research into the uniforms and the finished paint job and so went on a purchasing spree. To get some large formations tabletop ready in the least amount of time, and after researching painters to help me in my project, I settled on repeated buys off eBay and soon had around 1000 French, British and Prussian troops to begin with. And all for an average of $1.52 per figure. I also purchased some AB, Eureka and CGM figures with my preference being the ABs. I also began work on my painting process and soon worked out my style and speed to give me what I wanted. Not being a painter myself I was happy with the outcome and consider it above average especially once I began comparing them to 2nd figures off eBay I was collecting along the way. So at the end of 2016 I have around a half of the French 1st Corps for 1815, enough loose French supplemented by a small order to AB to complete the Corps. I also have enough British figures (now to be Hanoverian due to Stovepipe shakos), a collection of AB and CGM British to build the British 3rd Division from 1815. Another smaller pile of painted and unpainted Prussians will be used to build a Brigade or 2 from 1815. More purchases will expand these formations throughout 2017 with most of them being painted by myself unless I can finally settle on a painter to assist for less than $3 per figure. Of course a regular eye on eBay for unwanted AB or CGM will help as well. 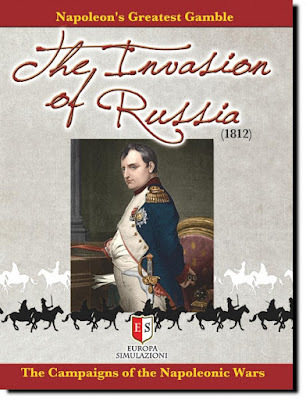 Period-wise I am still focused on 1815 but am keen to add Russians for 1812 and Austrians for 1809 but that should not happen in 2017. 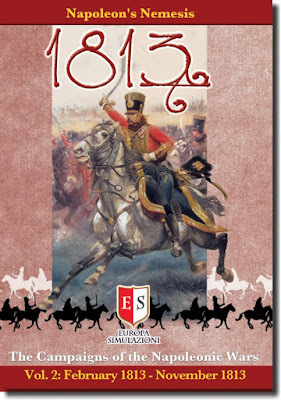 With my move to 15mm for Napoleonics I was considering the same for my Modern projects. I am still keen to explore Iraq and Afghanistan and Ultra Modern as well. A quick look at the ranges on offer for 15mm and the fact that most of the 20mm vehicles can be purchased as quick already assembled and painted plastic or diecast "toys" knocked the 15mm idea on the head. And of course the already large collection of 20mm I had assembled but never used to date! 2016 saw a purchase of a large collection being offloaded by a friend in Sydney which just about doubled my stash of painted and unpainted figures. I am in a good position to build most if not all of the forces I need to see this project take some traction in 2017. I am still set on using Force on Force with a couple of additions but I will also test out the Skirmish Sangin rules I have. Terrain was good in 2016. Recent purchases of multiple Cigar Box Battle Mats and the reshuffle of those to settle on 2 x Grasslands mats meant I could finally move on to other aspects of my tabletop. For years I tried all sorts of ideas and this blog is riddled with posts on that subject. During 2016 I also settled on hills. The mats work well with items underneath them to represent contours and hills but I could never decide on a material or system to use. I tried cork tiles, foam sections, books, rubber mats and even packaging foam. In the end a $1 packet of paper plates with a drawer protector over the top solved all my needs. Not only did I get random looking and non uniformed peaks and tops but the drawer protector adds some stability to the hollows and provides grip for the plates. It works really well. With the table cover and the hills out of the way I moved on to the roads and rivers and a large collection of already produced and painted pieces from Fat Franks off eBay came to good use. A quick reflock to match the battle mat and they are good to go. On to buildings. I've always been interested in modelling my own buildings as some of the purchased ones I had collected over the years and/or seen online seem to have a footprint too out of scale for a game running at 1:60 ratios. A random look on eBay and a purchase and a collection of custom made good quality buildings joined my project. They do need a little work to turn them into full scenic items with gardens and paths and trees and hedges etc. But they are a good base to work with. Woods were a lot of trouble. So many ideas and so many ways to do it. I wanted sections of wooded areas that can be placed on the table in groups or as a single section but not just a terrain base with flock and some model trees. A Youtube search showed an idea with a scenic base built to accomodate a number of smaller modelled bases. I built a couple of prototypes of these and they looked good so I began work on some larger sections. 2017 will see more work done on woods and then on to scenic items such as fields and hedges and fences etc. Hoepfully there will be some full tables for gaming to show off as well. After those 3 everything else is 2nd position. As mentioned a number or times only a few can be achieved in my lifetime and so the selection is limited to 2 or 3. Previously I had begun collections of 6mm ACW, 10mm Crusades and 10mm Romans but all these are now either sold off or soon to be sold off in favour of 15mm collections. At this point I am thinking 15mm Romans or Crusades and maybe 15mm AWI. Stay tuned but I doubt serious progress will be made this year other than maybe a few samples purchased and painted as a break from the other work. So there we have it. A look at the state of things at the end of 2016 and beginning of 2017. One of my personal goals this year is yet again to keep this blog updated and so I aim to update things at the beginning of each month. I have also settled on my spare time with Sun, Mon and Tues being booked for Forex Trading and the rest of the week dedicated to Wargaming. Its now mid January and this scheme is working out well so far. To go with my 1st division of French Infantry for 1815 I have purchased some guns and crew from eBay and once again added some final touches and rebased them for Empire V.
The blue was updated with a darker french blue. I use Vellajo Dark Prussian for all by French blues. I also touched up the white belts and straps and added an Olive Green for wooden parts, Gunmetal Grey for metal parts and a Black Oil Wash (same I use for my own undercoating) to tarnish down the brass barrels. I then added basing and used a different flock this time that matches the table top mat more closely. All thats left on this 1st division of French is to paint the 2nd Brigade Commander and the Divisional Command stand. I recently saw someone offloading a bunch of 15mm buildings which I thought would be a good addition to my building collection considering I was having trouble getting started on building some of my own or finding some to purchase that I would be happy with. They arrived today and I didn't fully realise they were all hand made. They do look good though and I must commend their creator. Some good modelling skills there. The next step is to work with these to model small areas of farms, chateaus and built up areas that can work together to build villages and towns. They also need to be able to contain troops for modelling defensive positions and some modelling improvements such as fences and hedges and trees to get the right look. Having gathered all the flags I need as image files from all over the internet I cut them all up into individual units and named them and then added them into a Word document where I can resize them very easily. To begin with I decided upon 13mm high as the flag image per unit is wider than it is high. I then saved the document as a pdf file and printed it on a black and white printer to make sure the size is right. I cut out the 1st unit flag and added it to the figure but it was way too big to fit. The images were all resized to 11mm high instead and the file resaved and then reprinted. This new flag was then applied to the figure with much better results. The next step was to print the file again in colour and apply them to the figures. Now I need to finish painting the Brigade Commander and that 1st Brigade of the 1st Division of the 1st Corps of French at Waterloo will be complete. Then on to the 2nd Brigade! I finally got my chance to print all my flags out and finish my 1st battalion of French Line for 1815. Its been painted and based for around a month now but was missing its flag. Here it is totally complete and ready to take the field. Now onto flagging more units ready to go and to continue work on my 1st French Division. A huge 2nd hand purchase of Moderns arrived today from a sale off facebook. I picked out a few items I wanted but then the owner added a whole bunch of freebies and also offered some additional stuff I could not say no to. So I can only paint so fast and in fact I am a little bored of it already. To supplement my painting regime I will take on 2 professional painters to paint for me a unit or 2 each month. I had found 2 painters but one removed himself when I stressed I wanted a result similar to my painting style so the units fit together well. Another I will be sending a single French Line Infantry figure to tomorrow to see how his style suits. To fill the 2nd position I have decided to negotiate a regular set of figures from an eBay seller I purchased from when I began collecting a few weeks ago. I purchased a number of French Line, French Light, English Line and Prussian Line and Landwehr infantry along with some Artillery and most of the time I was able to win them for less than $2 a figure which is the benchmark I use for those sales. The painting quality is not quite there and the figure quality is not quite there but with a little touch up I think they can quickly and cheaply fill my ranks. These figures come already based and ready to go so I had to sit them in water for a few days and with a knife scrape all the basing material off and cut the figure from the stand. I then rearranged them from 1 unit of 24 into 2 units of 12 although I needed to add in a 2nd flag bearer to make it work from my own collection. These were then based to my new 15mm Empire V basing on mounting card and magnet and then painted and flocked. See my basing tutorial here. Once that was settled I then went about upgrading the paint jobs by applying a darker blue - I prefer Vallejo's Dark Prussian Blue for French troops, yellow to Voltigeur plumes, a medium blue to the flag pole and company colours to the pom poms. I could go further but I fear I would end up repainting the entire figure and thus lose the benefit of these purchases. eBay Line Grenadiers on the left and my Eureka Grenadiers on the right. Note the darker blue on mine. eBay Voltigeurs after my blue on the left and before my blue on the right. The two eBay units on the left and the 2 Eureka units I painted on the right. The mounted Brigade Commander on the far right is all based but not painted as yet. Now on to the flags.